JTB's collaborations with Ciro Visone always deliver and this release is one of their strongest yet. The Guardian kicks things off with a solid build up and strong melodies all the way and a cool alternative version with the Ellez Ria ReFeel Mix. 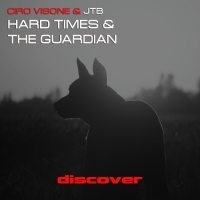 Hard Times stays on the epic trance trail with the addition of a great vocal sample. 'The Guardian / Hard Times' is available now from Beatport and iTunes.